Top Tips for Healthier Finances in 2019 - Hames Anderson Whitlow & O'Leary, Attorneys at Law, P.S. It is the start of 2019, and now is the time to rejuvenate your finances and hopefully improve your credit score. If you find yourself drowning in debts, you may be able to swim your way out by implementing some healthier spending and money management tips as part of your New Year’s resolution. When the bills become too much or you do not see yourself being able to pay for living along with your debts, it may be time to consider bankruptcy. Speak with an attorney at Hames, Anderson, Whitlow & O’Leary, P.S., today to explore your bankruptcy options. How Can You Boost Your Financial Well-Being in 2019 in Pasco? Inflation is indeed here, and prices are expected to continue rising for everything from consumer goods to real estate. But that doesn’t mean your financial future is grim. Here are just a few ways you can improve your financial situation for the New Year and hopefully finish 2019 somewhat debt-free. Often, people fall into a financial slump, saying that they are too powerless to overcome their financial obligations. While there are situations that certainly prove this, you are still in control of your finances today. You might have made poor decisions in the past, or you may have had an illness that forced you to fall behind. Regardless of why you are in your financial situation, accept that you can fix it. Whether that means negotiating better rates with creditors, working out new payment plans, or even filing for bankruptcy and starting over, you have more control than you realize. Look at your spending, analyze your budget, and start by comparing income to expenses. Be honest and realistic here. The more you short your costs, the harder it is to stay on track. Look at all of your monthly expenses that are fixed, including housing, utilities, car payments, insurance, and so forth. Then look at non-fixed spending like gas, groceries, and miscellaneous. Once you have tallied up every expenditure and income source, see where you are bleeding in your finances. Are you spending too much on convenience store trips? Perhaps you stop for coffee and a bagel too often. It is easy to overspend when you are shopping for groceries or picking up a few things at the store when you have a credit card; you can always charge. Put your credit cards away and carry a single one for emergencies only – preferably one with the lowest available credit. Then, start paying in cash. When you bring cash for your grocery trip, you budget a set amount, and that is the only cash you bring. You ensure that, when you go to the checkout, you have purchased only the foods you and your family need for the price you budgeted – not a penny over. The job market is high right now, which means you might snag a part-time job to help supplement your household income. Use the income from that job solely for paying down your debts. It is easy to assume that, when you make more, you can spend more. But stick to the usual expenses and make sure that excess helps you get out of debt – not further into it. You have expenses you cannot cut, but there may be some you can, such as cutting out cable, stopping coffee runs (or cutting down to a once a week treat instead), and other useless spending. Humans naturally like accomplishments, and when you accomplish a goal, you are pumped and ready to achieve another. That is why the snowball method for paying down debts tends to work. You start by lining up your debts – running from the smallest balance to the largest. Then, tackle that first debt that is the lowest. Throw all of your extra money each month at the balance until it is gone. After you have paid off that first debt, take the monthly minimum, plus any extra you have each month, and start on the second smallest debt. You continue the process, compounding your payments, and they quickly roll into large payments. By the end, you could be paying several hundred on a single debt, but you will see it dramatically decrease – and you will save plenty on interest, too. While paying off debts are essential, you need a security fund in place for the unknown. That means paying at least ten to 20 percent of your paycheck to savings. Do it immediately after you are paid so that you do not have the temptation to spend that money. Even better, consider putting a savings allotment in your direct deposit designation so that it automatically goes to savings and you never see it. 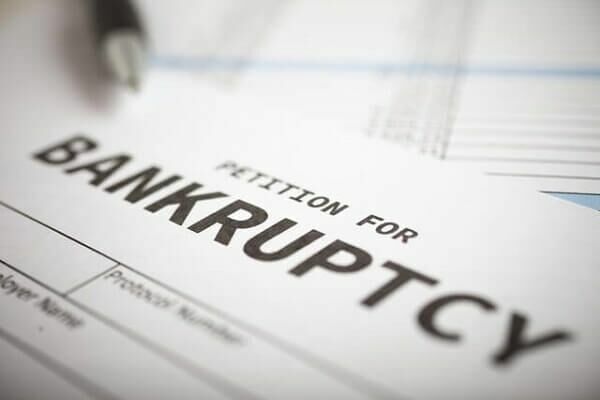 If you are falling behind with creditors, they are calling and threatening to sue, your expenses well exceed your income, and you cannot afford everyday living expenses, you may need to file for bankruptcy. Do not look at bankruptcy as a negative. Instead, look at it as an opportunity to correct past financial mistakes and get a fresh start. No one deserves to dig out of debts for 10 or 20 years. When your debts are overwhelming, speak with a bankruptcy attorney to explore your options. You may qualify for liquidation or a payment plan approved by the court, but both will help you restore your financial health. When you know that bankruptcy is what you need to get on track, turn to the attorneys at Hames, Anderson, Whitlow & O’Leary, P.S. We are here to help you get out of debt by presenting you with bankruptcy options that suit your financial situation. To get started, come in for a confidential consultation. Schedule your appointment now at 509-586-7797 or request more information online.